Jukebox are a Queensland professional covers act for your wedding, party, or corporate function. 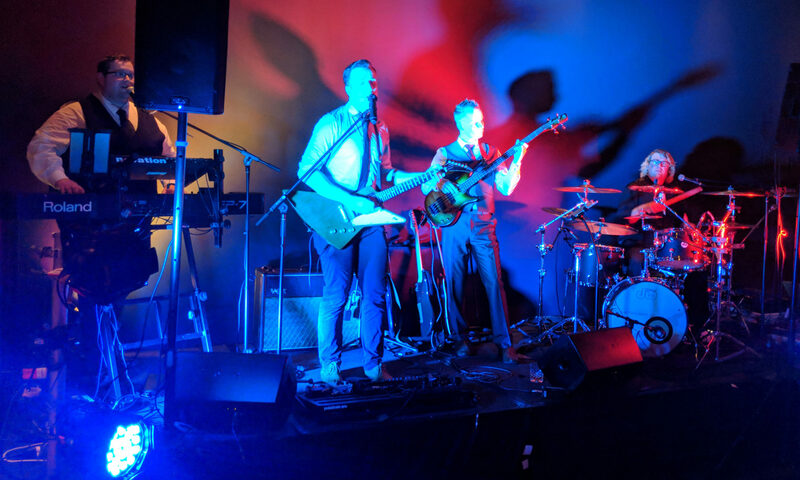 Four local musicians that are dedicated to making your event rock! The band is a group of talented musicians who you will love to hear and enjoy to watch. They will play the perfect repertoire for your wedding, party, or any other event. Jukebox is based in Brisbane but the band is happy to travel. Simply include the location of your event when you contact them and they will make it happen. Additional travel costs may apply. The band line-up mixes vocals with guitar, bass, keys and drums. With other instruments available on request. Acoustic and instrumental options are also available.